Trotter Racing :: Wanted- Nice Horse! With the yearling market going absolutely gangbusters at the moment it is rare to come across a value for money racing proposition. No need to wait with this big strong 2 year old son by Wanted. Purchased by Boutique bloodstock at the Inglis VOBIS Gold Sale he went through the Inglis Ready 2 Race sale. After breezing up sharply for a staying type a fair and reasonable reserve was set at $40,000 which he just failed to reach. Not prepared to give away what looks to be a really promising staying type he will race in the Trotter Racing Stable for friends and clients. Since his purchase his 3/4 brother Dandre has emerged as a really promising staying type with a placing at Caulfield behind the Darren Weir trained Kiwia. 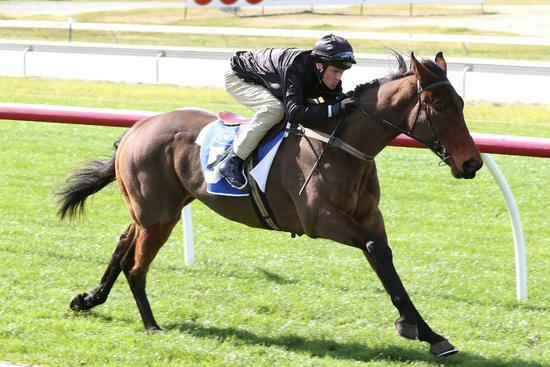 Dandre's first up run recently at Seymour over 1400m suggests he is in for a lucrative summer preparation. If you are looking to get involved in racehorse ownership that is affordable and value for money please contact Tim Ford for further details 0409145056.